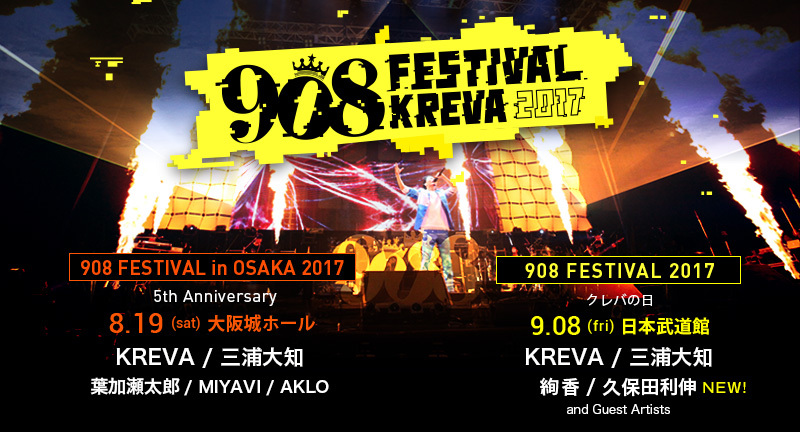 Toshi will be apprearing at 908 Festival in Tokyo on September 8th. It will be a follow up to his mesmerizing performance in 2014. This annual music event has surprised many fans and music lovers for years as KREVA contiues to showcase diverse musical collaborations with his fellow musicians and artists he admires. This year KREVA is teaming up with Daichi Miura and Ayaka along with Toshi.